Dornoch Historylinks Image Library - receipted account from John Sutherland, grocer. receipted account from John Sutherland, grocer. 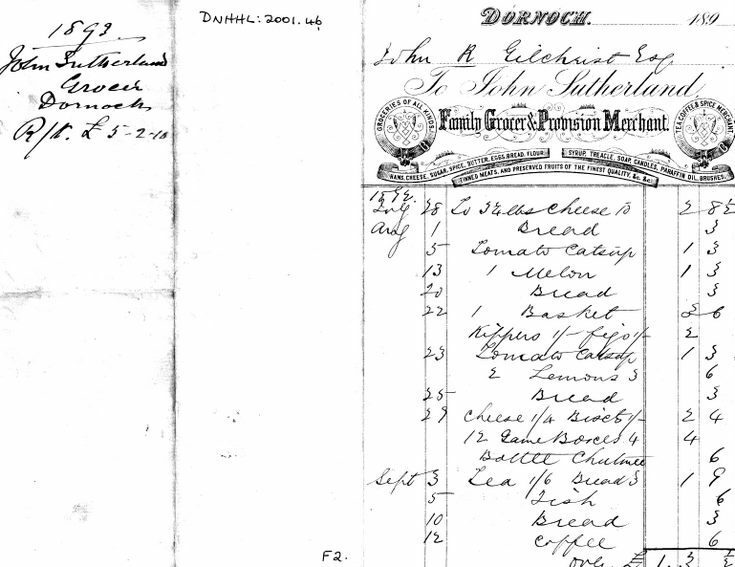 receipted account from John Sutherland, grocer & provision merchant to John R. Gilchrist, 1893, Ospisdale, for miscellaneous provisions; includes prices of bread, cheese, coffee.